Knitting. Such a different yarn! Home Knitting Knitting. Such a different yarn! Novice needle women who are still mastering knitting, sometimes it is very difficult to understand the variety of yarn and select the suitable coil for future product. How not to get lost in the range and find what you need, will help the list below. a) Normal woolen thread. Usually it is obtained from wool and used for making warm winter things. Crochet with classic wool has a number of undoubted advantages, such as elasticity, relief, high hygroscopicity of the resulting product. b) Mohair. Mohair yarn is produced from goat hair. A vivid example of the mohair thing – the famous Orenburg shawl, lightweight, warm, soft and very fluffy. This yarn is very susceptible to dyes. c) Cashmere. Naughty but very nice yarn that is almost always diluted artificial fibers to maintain the form. Get yarn of combed hair of Tibetan goats. 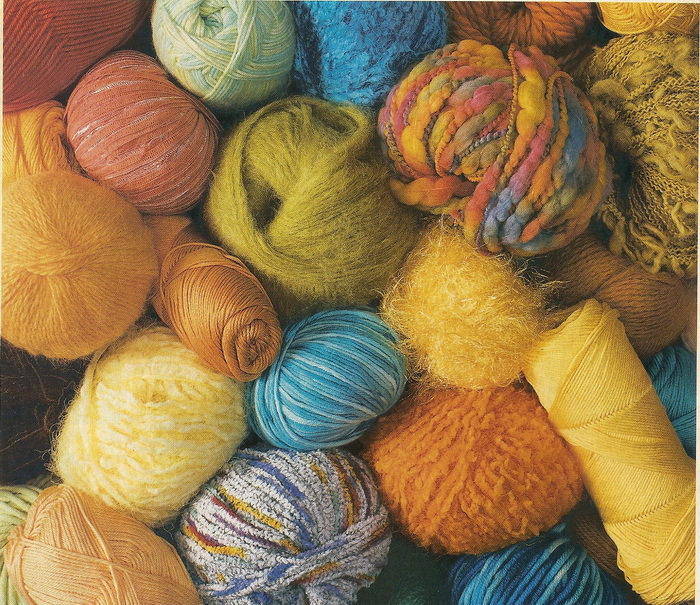 Knitting cashmere yarn is best performed with the aid of a machine or spokes. d) Alpaca and camel hair. The product obtained is relatively light, very warm and Moody during storage. They do not come into contact with naphthalene, but actively under attack moths. e) Angora and Merino yarn found in its pure form is rare, usually as additives. Often manufacturers mix them with each other and with the acrylic. Things are unusually soft and airy. f) Cotton. There are two types: natural, painted only in simple natural colors, and mercerized is due to the mixing of the fibers it is possible to achieve bright saturated colours. g) Linen. Knitting of linen thread is important mainly for summer things. Clothing allows the skin to breathe without holding moisture and air. Unfortunately, products are some hard and crease easily. h) Silk. Expensive and very high quality yarn, which can't tolerate the bright constant sunlight burning out and collapsing in a short time. a) Viscose. Cellulose fiber, which in many properties are similar to silk, but more cheap, soft and easy to care for. b) Acetate. This type of yarn produced from short cotton fibers. Knitting from the acetate fibers allows masters to realize the most ambitious projects as this fiber is very resistant to external influences and is widely presented on counters of shops. a) polyamide (nylon, nylon). Very often used as a Supplement to natural wool to give it elasticity. b) the Polyacrylonitrile. Knitting acrylic yarn is ideal for beginners: the bright colors, small shrinkage, almost falls. c) Striking the fiber. Better known under the name of "lurex" and is used to create brilliant metallized products. In addition, you can select plain, mixed and fancy yarn.